This past weekend saw the announcement of Dynasty Warriors 9 by Koei Tecmo. Through many different sources the details of the game are starting to come together, the biggest piece of information is that the game will be open world. 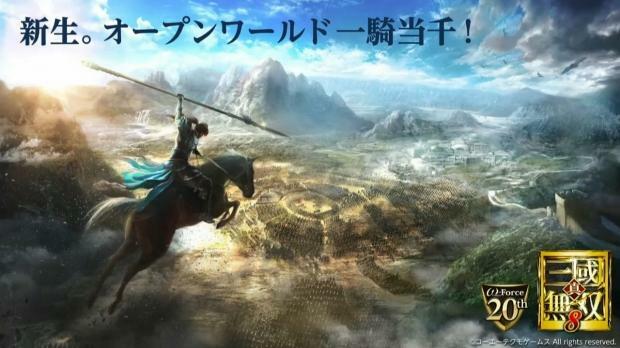 The open world of Dynasty Warriors 9 will be a reflection of the landscape of China. Because of this reflection, mountains pose a problem (mountains just ruin everything); therefore not every location found within the game will be a host to battles. Famous battle locations like Hulao Pass and Zhongyuan will be highly detailed though. Some things will never change, as Dynasty warriors 9 will still incorporate the 1 vs 1000 system in the game, however they will abandon the original controller method of square for attack and triangle for charge attack. Another big detail for the game, is that the game will sport a full cast of all 83 characters found in the franchise up until Dynasty warriors 8. There will also be some new kids on the block, and ALL of the characters will be playable (clearly players will be spoilt for choice). Interestingly, there was no mention made on the platforms for the game, but Ps4 seems to be a safe bet as the announcement was mad during a PlayStation broadcast.